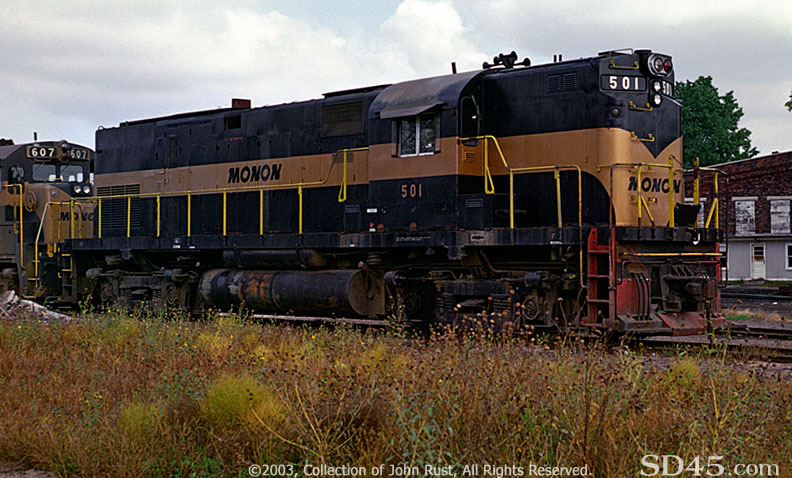 Monon 501, Hi-Hood Alco used for the passenger trains operations of the Monon. A high hood unit was ordered to avoid having to turn the engines at terminals to avoid switching costs. After passenger train operations ceased, the units went right to work on freight trains on the Monon system.